To be made at DC's Talegaon factory. 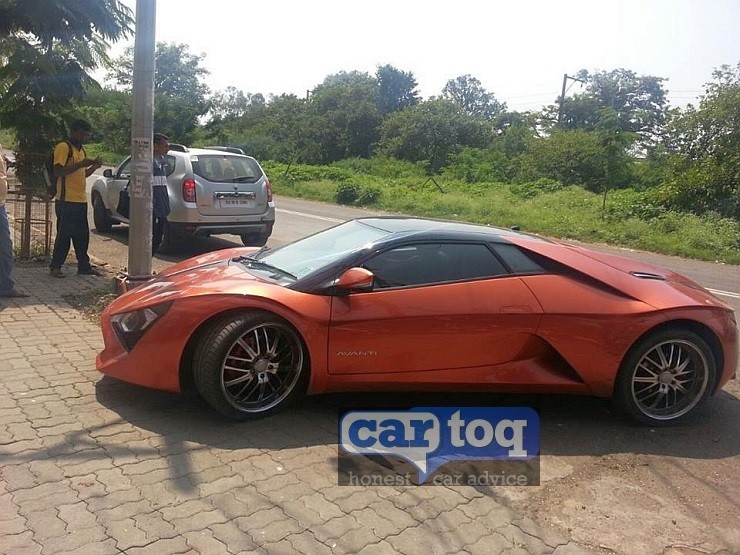 To be marketed as India's first supercar, the DC Avanti has been testing intensively in recent months. 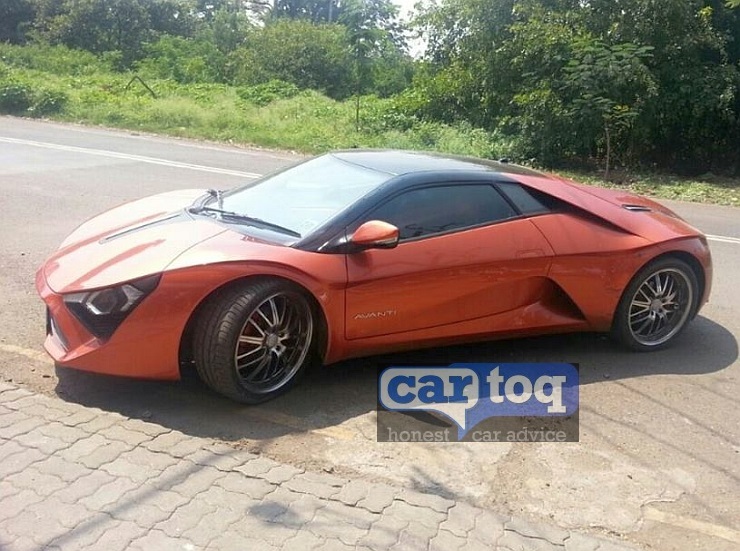 Now Cartoq has managed to capture the low-slung sportscar without any camouflage near Pune. 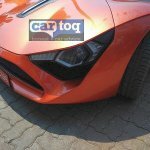 The DC Avanti is powered by a 2.0-litre Ford EcoBoost turbocharged petrol engine. First showcased as a concept car at the 2012 Auto Expo, the Avanti, designed by world renowned Indian designer Dilip Chhabria, made its appearance at the 2014 Auto Expo in its production avatar. 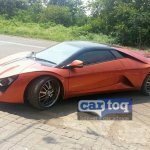 The company had announced that the deliveries will commence this year but progress has been slow. The desi-supercar is powered by a 2.0-litre turbocharged Ford EcoBoost petrol engine. The four-cylinder motor comes mated to a 6-speed manual transmission to produce 250 bhp and 360 Nm of torque. Power is sent to rear wheels via a 6-speed manual gearbox. The car is claimed to accelerate from 0-100 km/h in a commendable 6 seconds before hitting an electronically limited top speed of 180 km/h. Weighing 1,580 kg, the Avanti has a friendly ground clearance of 170 mm. 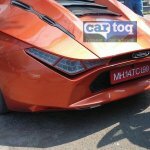 The sportscar will be fabricated at DC's Talegaon plant near Pune which will roll out 100 units per month initially. The first 25 units are expected to wear a price tag of INR 25 lakhs after which the price would be revised upward to INR 30 lakhs.